Elaborating a synthesis presentation of YSWG outcomes during its first year of existence as well as workshop outputs, to be presented to the EuroMarine GA. 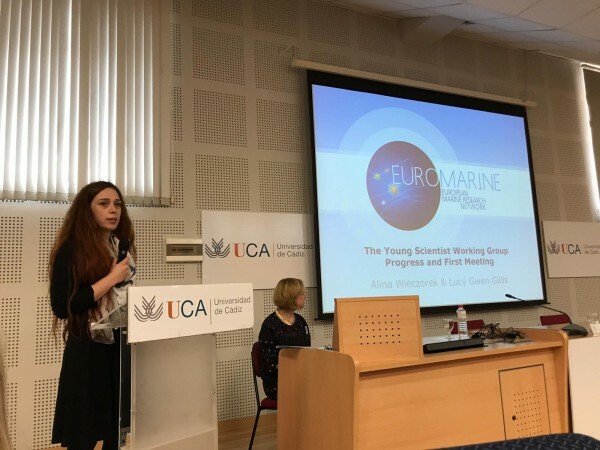 The outputs directly benefit EuroMarine by highlighting young scientists’ perspectives on topics and issues potentially overlooked by senior scientists, as well as developing and proposing a set of early-career researcher-oriented activities and platforms to be made available in the future for the marine research community. Additionally, developers of the OpenAIRE platform, which aims at shifting scholarly communication towards openness and transparency, held a training session during the workshop to teach about the potentialities of the platform. A short video of the session can be found here. Our PhD student Marco Custódio is the representative of CESAM in the YSWG and participated in this workshop. In due time, a presentation of the results will become available to CESAM's community.